With all these wonderful games I am making I needed to organize and store them. I am using a drawer tubs from Sterlite. I really need more because my addition and money are completely full! 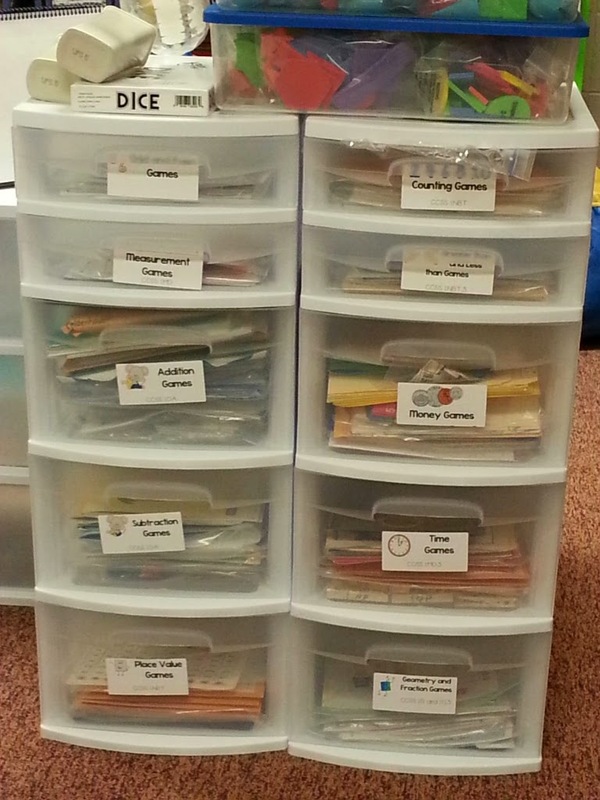 The labels have the CCSS listed on them. Click here to get your own labels.